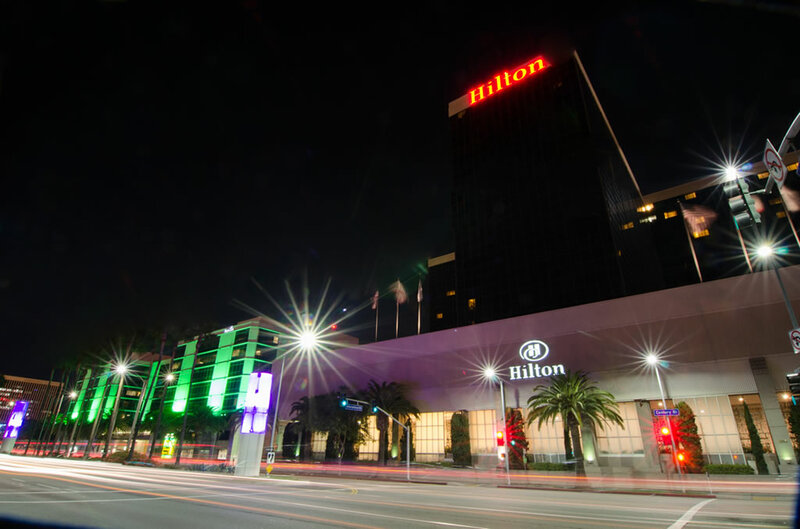 When traveling through one of the nation’s busiest airports, make the Hilton LAX your parking destination! Our parking facility is known for its safety and security, while saving you time and money. Our newly renovated garage facility boasts 1,421 spaces to accommodate your parking needs: 964 Self-parking spaces and 457 Valet spaces. We make it simple to park your car and catch our shuttle to the airport, eliminating the hassle and stress of finding nearby parking and navigating complicated airport lots. We assist in providing you the best possible rate based on your arrival date and how long you wish to park. Are you a frequent traveler and plan on using our garage more than 15 times a year? If so, please email our team to discuss a negotiated rate. If your company utilizes our garage on a frequent basis, we can establish a rate for your business as well. Don’t hesitate, make your reservation today, and enjoy our clean, brightly colored, and well-lit facility! The Hilton LAX Parking Facility is at Your Service!